Stimex Waterproof Spray - STIMEX® Nederland B.V. Stimex Waterproof Spray - STIMEX® Nederland B.V.
STIMEX® WATERPROOF SPRAY is an extra concentrated textile coating. STIMEX® WATERPROOF SPRAY consequently is suitable for all types of cloths and many applications. Due to its special composition STIMEX® WATERPROOF SPRAY is permanently elastic, breathing and can also be applied to moist fabric. Directions for use: Thoroughly clean the material to be impregnated. The parts to be treated should always be sprayed thinly ad evenly, from seam to seam. Sufficient to cover 5-7m2. Spraying distance about 30-35 cm. If necessary, repeat after 30 minutes. Do not apply to PVC windows and rubber objects. For treatment of larger surfaces, use liquid STIMEX® WATERPROOF SPRAY, Available in 500 ml. flasks. 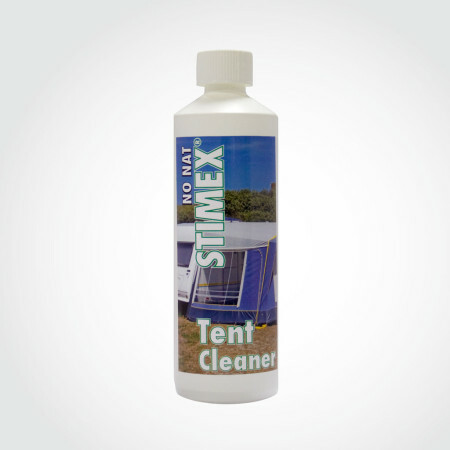 STIMEX® Special Products are available at most camping and outdoor stores.